In May and June of 2017, several members of staff and senior cadets from Plymouth & Cornwall and Dorset & Wiltshire Wings, Royal Air Force Air Cadets , spent 8 days in the Cairngorm National Park, residing at Feshiebridge Lodge, Aviemore. 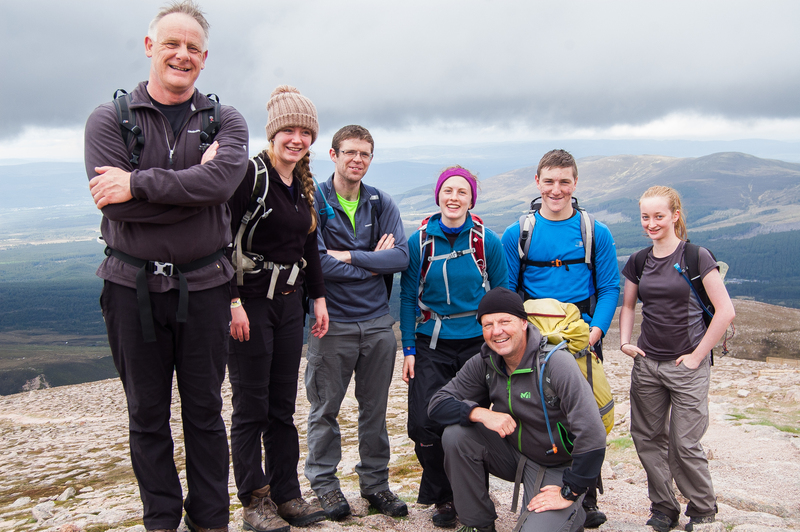 With assistance from the Ulysses Trust, the aim of the week was for all participants to sample what mountain walking is like in an area unvisited by most people on the trip, and develop themselves as both leaders and mountaineers. The participants were all split into pairs for cooking and groups for walking for the week, with qualified staff to supervise, but were changed around frequently so as to give everyone a chance to get to know the others on the development week – cooking skills were also put to the test each day! After arriving on Saturday morning and spending the day settling in, the next 5 days were spent out on the hills – ‘classic’ mountaineering areas covered were Cairn Gorm, Sgór Gaoith, the Chalamain Gap, Ben Nevis and two shorter walks around the Glenmore Lodge area. Every attendee was able to develop a variety of skills useful in both a mountain situation, as well as within the Air Cadet Organisation. These included, but are not limited to: personal leadership skills; micro-navigational techniques; self-preservation skills (e.g. thinking ahead and preparing oneself for different weather conditions, such as packing enough water or warm layers); rope work; and consideration for route planning. These skills are all vital for completion of what is the ultimate goal for most staff and cadets on the week, which is obtaining their Mountain Leader (ML) qualification. 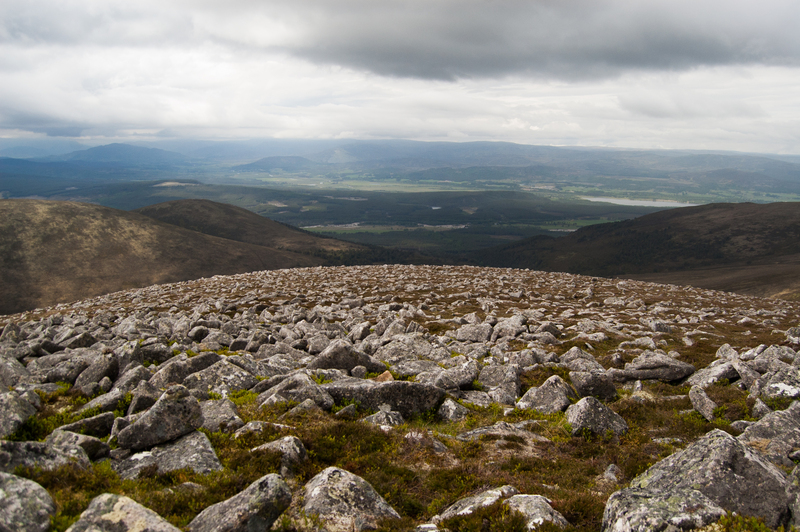 The ML qualification allows holders to take groups out and instruct on all mountain ranges within the UK, and this qualification follows on from the Lowland Leader and Hill & Moorland Leader. In order to complete the ML, participants must complete a minimum of 20 Quality Mountain Days (QMDs) – a mountaineering day consisting of a minimum of 5 hours, in which the participant actively works towards developing any skill required for the ML – before undertaking a training week and a further 20 QMDs. Overall, the group was a mixed ability, with some having completed their ML training and looking to go forward to their assessment, and others holding other outdoor qualifications but having never climbed a mountain before. Due to the mixed ability of groups, every participant was able to take away something different but equally as valuable from the week. This report includes several statements from participants of varying age and experience. Opportunities such as this are fantastic not just for the personnel involved, but also for the organisation they are all a part of – the RAFAC. By sparking interest and offering training courses to those who wish to become adult instructors, squadrons and Wings will see an increase in qualified staff available to run activities, an increasingly important concept. This brings a multiplier effect into play – the more staff there are to run events, the more activities are implemented, leading to a higher level of cadet participation. This will then lead to a higher number of cadets gaining outdoor qualifications, either as senior cadets or as junior members of staff, and thus creating a cycle to benefit everyone involved. As the week drew to a close, it was refreshing to see just how well everyone had bonded through the shared activities, both within the centre and on the hills, and it’s an exciting prospect to see what fantastic work is done with the skills picked up this week. I speak for the entire group as well as myself when I give thanks to the Ulysses Trust for making such an unforgettable week possible.